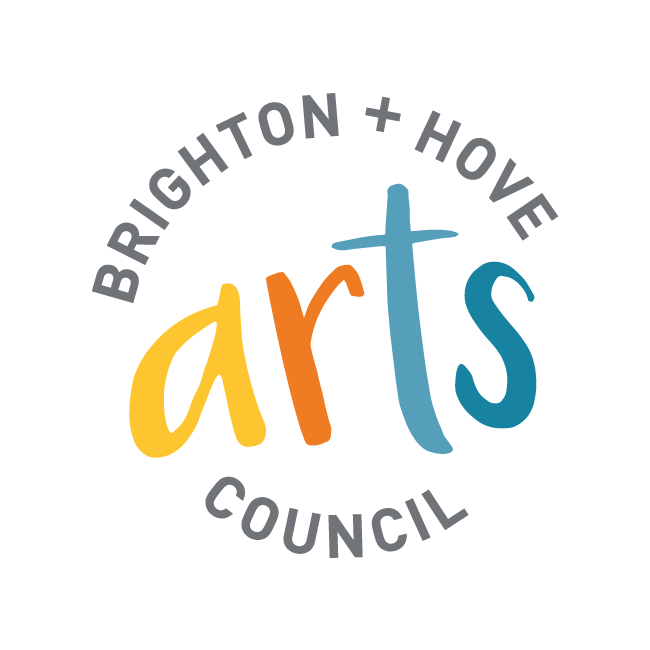 Brighton + Hove Arts Council was founded in 1974 by a group of people who wanted to support and promote the not-for-profit arts sector. 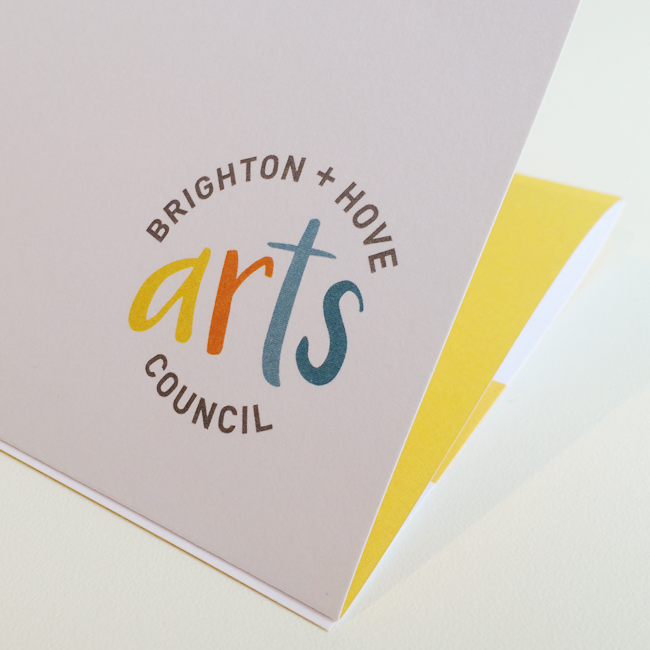 Currently supporting over sixty Group Members in the fields of theatre, music, poetry, debating, painting, sculpture, singing, local radio and more. They are a registered charity and run entirely by unpaid volunteers. 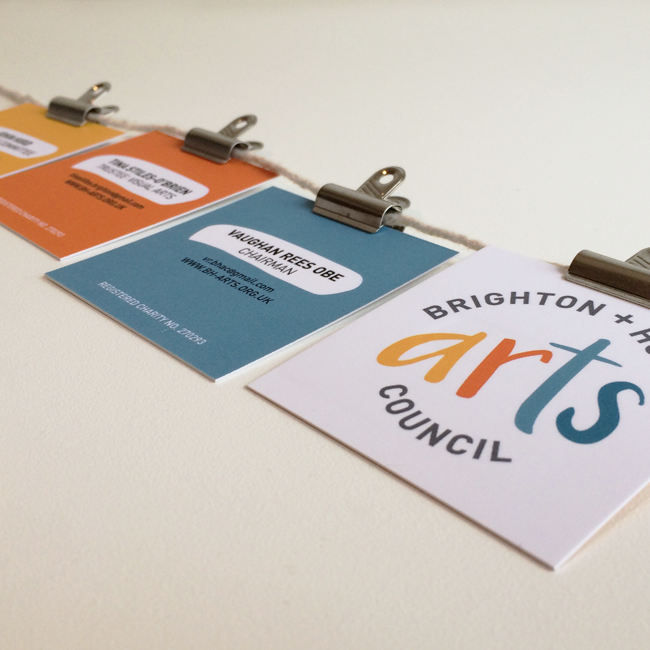 I was asked to bring their brand up-to-date and relevant to the members they support. 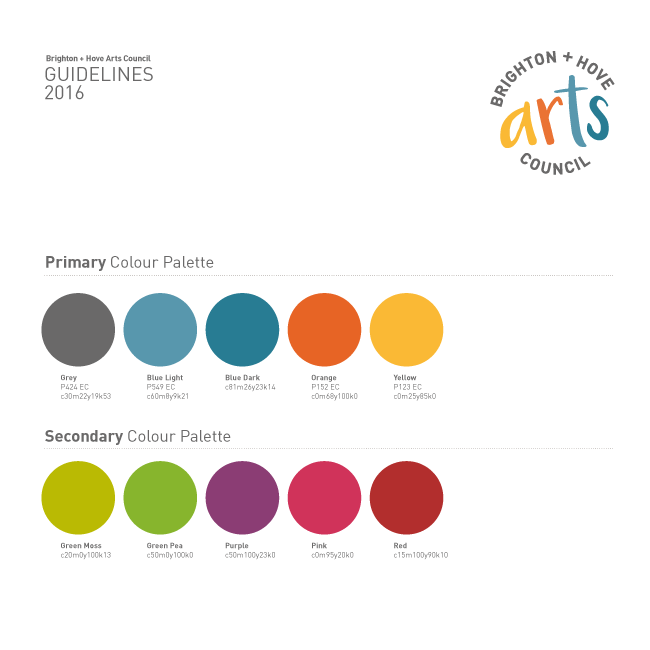 The Logo marque had to be positive, accessible, friendly and identifiable by a diverse age range. I wanted to bring personality to the word arts, the key message that holds everything together. 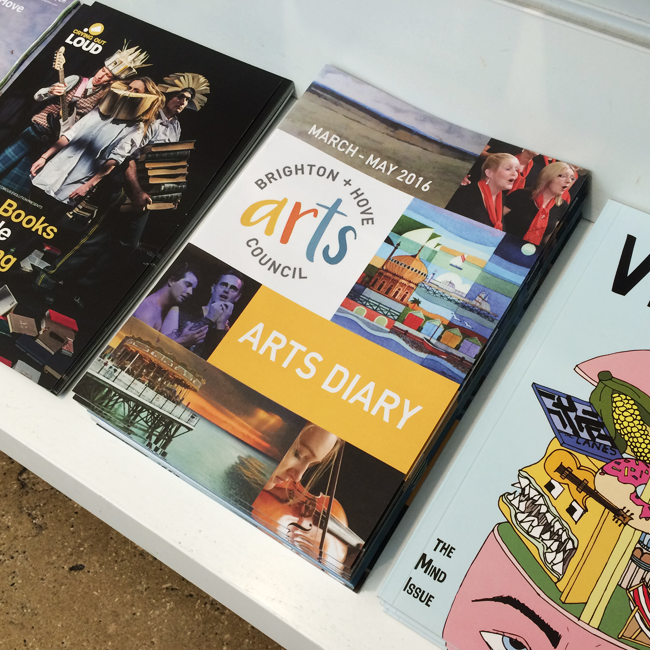 Setting a style and colour palette alongside a set of stationery allowed the core team to then take my guidelines and produce their Website, Arts Diary and Arts Link newsletter themselves.